Head east of Bishopsgate, behind the Heron Tower, and you'll find something that looks like it just charged out of Game of Thrones. 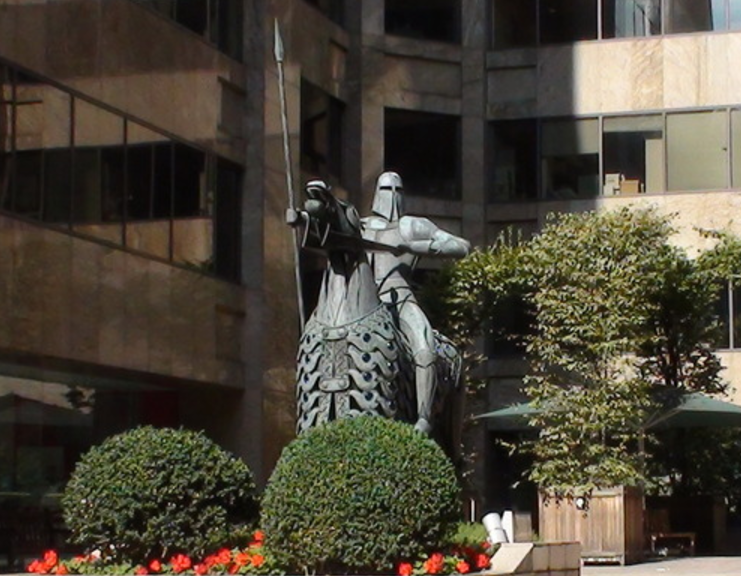 This impressive statue of a mounted knight was recently installed on a grassy knoll in Devonshire Square. It's not new. The piece has been skulking in the shadows since 1990 — most recently in a niche where few would see it. Renovation has now flushed the knight into the open. It's about time, for this is one of the City's most impressive sculptures. Fetch me a shrubbery. The knight in his former, unworthy home. Image courtesy of London Remembers. Sure, a man on a horse isn't exactly a unique subject. But this one's a bit different. First, it is shaped from beaten metal, not cast in bronze like most statues. Then look at the horse's armour. 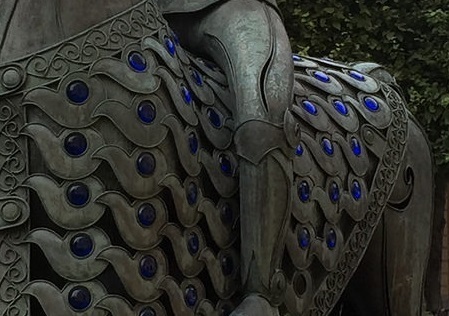 It is ornamented with blue crystals — a bit showy for combat, but nice to look at while you're munching on some street food from the nearby pop-up market. There's also historical resonance here. The knight represents one of 13 nobles known as the Cnihtengild who were granted land hereabouts in the 10th century. Read more about that lot here. 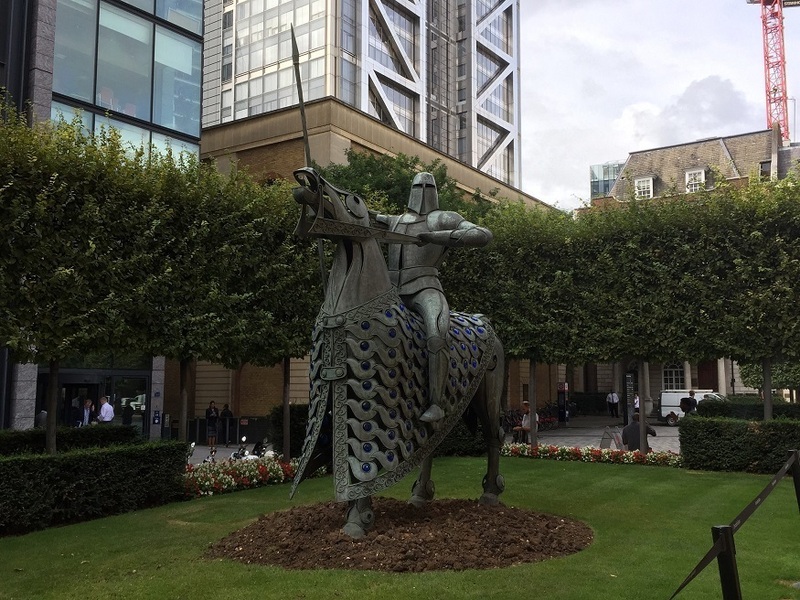 The sculpture is by Denys Mitchell and was specially commissioned by Standard Life Assurance, who are the Cnihtengild's successors as custodians of this land. Raise your visor, or at least your smartphone, next time you're passing the brave warrior. As the area is also known as Cutlers Gardens, we're dubbing him the Knight of the Long Knives.